Towels sure are unappreciated. After all, in terms of home décor, we tend to think of the kinds of big-ticket items that make or break the whole ambiance of the home, like a new sofa, a mattress, some fresh bookshelves — it even seems like the curtains get more credit than the humble towel. Nevertheless, we think this powerhouse deserves a bit more consideration. Naturally, at Towel Super Center, we're all about towels in all their iterations. We know the importance of a fingertip towel versus a hand towel. Here's the thing about upgrading towels, they're something you don't fully appreciate until you've found the right ones. Whether that means splurging on a luxurious new set for the bathroom, some bright patterned pieces for the kitchen or upgrading from hand-me-down towels from your first apartment, new towels will make a huge difference. Whether you're moving to a new place, just redecorating or replacing some towels that have been loved for just a little too long, you'll want to think wholesale to get the best bang for your buck that'll make a significant change in the whole vibe of your home. Though many a towel novice will think of towels as just plain terry cloth rectangles, they actually come in a variety of materials. Microfiber, 100% cotton, polyester and even bamboo. Even exploring the different types of cotton yields a host of results, from Turkish and Brazilian cotton to Egyptian cotton, the holy grail of hotel-quality towels. Choosing the right towels for your own needs depends on your personal preferences. Are you looking for something made from natural fibers, or leaning more toward something quick drying and absorbent? Higher quality towels, like our premium plus collection, will be plusher and absorbent, while lower quality towels can feel scratchy and are typically less absorbent. Cotton tends to be the most common fabric in the towel game, but manufactures use a whole host of other fabrics, producing a truly astounding variety. In the bathroom, you'll generally see the standard 100 percent cotton hand and fingertip towels, washcloths and basic bath towels. 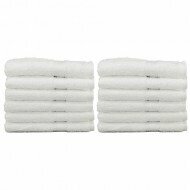 Cotton towels are relatively easy to care for, soft and reasonably absorbent. They're ideal for everyday use. Like sheets, towels have their own system that measures thread count, giving you an idea of what you're going to get as far as weight and quality are concerned. Grams per square meter, or GSM, are the primary measure of towel quality, referring to the density and weight of the fabric. 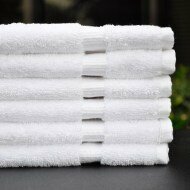 The higher the GSM the better quality the towel — as a point of reference, towels with a GSM rating between 600 and 900 are generally considered top quality, while towels ranging from 200-300 GSM are considered poor quality. As a general rule of thumb, those towels that have the highest GSM rating are generally thicker and more luxurious than towels on the lower end of the spectrum. You know, like those plush, Egyptian cotton towels you'd get while staying in a fairly high-end hotel. However, unlike sheets, a low GSM count isn't always synonymous with low quality. A low GSM doesn't always mean that a towel isn't of a high quality. 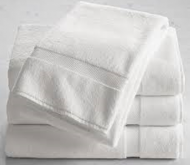 Turkish cotton, for example, is thinner than Egyptian cotton, but both are considered to be high quality towels. Towels with a low GSM are often the kinds of towels you'd use in a setting where towels need to be almost disposable—places like the bar, the kitchen or the gym, where ease and function beat out the need for softness. There's a lot that comes into play as far as figuring out what kind of towels will meet your unique needs. Do you want something thick and luxurious to curl up with after a nice hot bath? Are you looking for something thin and airy that dries quickly? Something that brings the salon home? In any case, it's a good idea to get a sense of what you need, whether it's a new set for your bathroom, or a bulk order of cheap towels you can use to wash your car. Here's a quick rundown of the many different types of towels we have in stock, and why you need a lineup of many different towels to keep your household running in tiptop shape. Salon towels are made primarily for the working set, whether it's the tanning business, the nail salon or inside the barbershop. 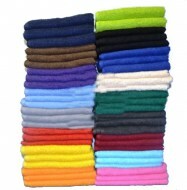 We have a variety of salon towels available in every color of the rainbow, and more. We recommend salon towels, obviously if you have a salon, but also if you find you're in need of a real workhorse towel that can clean up any spills and messes that come your way. If you need a towel that can resist bleach — we've got you covered. Buying bulk salon towels ensures you'll never have to use paper towels to clean up hair dye, lotion or any DIY beauty project again. 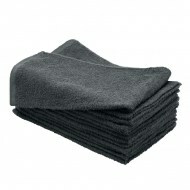 Plus, they're a bit more stylish than your typical shop towel, so they can even double as hand towels in a pinch. Rolling with the best of 'em, pots and pans, a good kitchen knife and comfortable sheets, bath towels definitely make the cut when it comes to the basic home necessities. Most of us shower on a regular basis (hopefully), and the more people in the home or guests that come for a visit, the more you'll realize how important it is to have a solid lineup of towels on hand. We tend to ignore the importance of owning a good bath towel, as well as the importance of owning more than two or three towels. 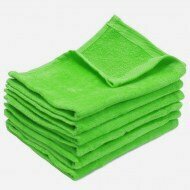 Maybe in our college days it was acceptable to use the same towel every day, but they need washed rather regularly. Bath and hand towels see a lot of action and fill up quickly with a combination of dead skin cells, soap residue and bathroom condensation. 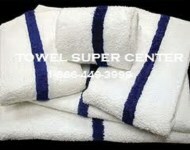 At Towel Super Center, we understand that there's a need for quality bath towels, even when it might not be so obvious. With every color in stock, and a wide selection of quality, the only issue you'll have when shopping for towels is choosing the ones that are the right fit for you. In any case, you can go bare bones economy cotton, or step it up with the premium plus luxury collection. Either way, you'll be dry and happy. Okay, so you could always use a towel from the bathroom, but we've all seen what that choice looks like out in the wild. Our pool towels feature a decorative stripe, so you can tell them apart from a regular bath towel. Pool towels typically have a larger surface area than most, for maximum coverage and comfort. Our pool towels are both extremely thirsty and quick drying, so they'll get you dried up fast after a dip in the water, and will be ready to use if you decide to jump back in for a few more laps. 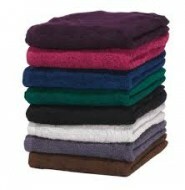 Best of all, you can buy our luxury pool towels in bulk to outfit a hotel, or just the whole family. Add some personal style to your bland bathroom. Your attention to detail will impress your guests, from the hand towel to the matching washcloths, and stylish towels at the ready after a refreshing shower. Mix and match hand towels, washcloths and bath towels in a variety of colors that match your home décor. Sure, a lot of us are used to buying the cheapest towel on the shelf and calling it a day. You just need something to dry yourself off after a shower, right? For those of you without a passion for fine linens, that's all well and good, but do keep in mind that high quality towels are kind of a game-changer. They add a little taste of luxury to your everyday life that won't completely break the bank. If it's within your budget, and you're looking to make your home feel a bit more like a romantic getaway at an exclusive resort, or a relaxing spa after you've had a difficult day at the office, check out our selection of premium and premium plus towels. 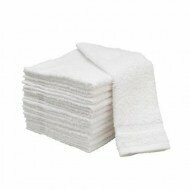 We carry towels in a wide range of size, from washcloths, right on up to just about the biggest bath towel on the planet. Comforting and decadently soft, our premium cotton towels really take your home amenities from basic, to downright hospitable, adding a little touch of luxury without completely breaking the bank. It should go without saying, but always read the care label before you stick new towels in the wash. Sure, they're fairly durable and won't get completely shredded in the laundry, but there are a few things you can do to guarantee comfort and extend the lifespan of your towels. Machine wash as recommended, and wash with similar colors. Avoid bleach, unless you've got designated bleach-safe towels. You shouldn't bleach certain white towels, as they have a finish on them. Additionally, bleach can weaken the fibers, which will wear out the towel and make it less absorbent over time. Avoid getting cleaning products on your towels, like bleach and face wash. Chemicals found in facial products, like benzoyl peroxide will eat away at the fibers and weaken them. 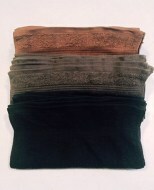 In some cases, they can discolor or lighten the towel. Ditch the fabric softener too. Though they deliver the promise of fluffy, super soft towels, laundry additives coat towels with a film and inhibit their ability to absorb water the way they were meant to. If towels are starting to pill, go at them with a lint roller or lift the pills with some wadded up tape, as you would a sweater covered in balls. If you're averse to pilling in general, cotton towels may be your best option, as any pilling is washed away each time they go in the laundry. Changing up your bathroom decor can be as easy as swapping a few things around, like towels and bathmats that complement the color scheme of the space. An easy way to spruce up the pace, don't get locked into one particular look or style of towel. Go bright and colorful, with bold shades for the summer, or maybe try all white or neutral tones for a more subdued, spa-like feel. Either way, towels are easily interchangeable and can be adjusted with a quick trip to the linen closet. 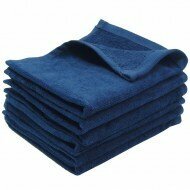 Choosing the best wholesale towels involves a bit more when it comes to insider knowledge than one might expect. Hopefully you haven't read this far, and still feel that a towel is just a towel. First, you'll want to figure out what you're looking for in a towel. The way the towel feels is key here, as well as the size. You don't want to outfit your bathroom with tiny towels that barely dry you off. Additionally, you'll want to evaluate price point, as well as fabric. 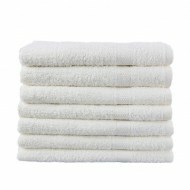 Towels can get pricy when you buy them one at a time from a store that doesn't offer wholesale pricing. 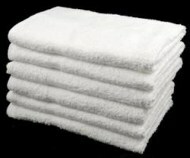 The type of material and the feel of the towel are important considerations when looking to purchase towels on the wholesale level. 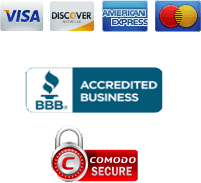 In addition, you should take pricing, customer service and quality standards into account when looking at wholesale towels. 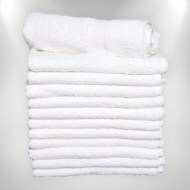 Buying towels wholesale can offer consumers a much lower price point than they'd get at a typical department store. 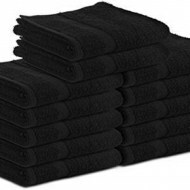 This can be particularly helpful if you operate a salon, a gym, a hotel or some other type of business that requires a large quantity of towels on a regular basis. It can also help individuals save money on their towel needs for their entire home. You'll first want to establish the kinds of towels you're looking for, and from there, decide the quantity and the quality. 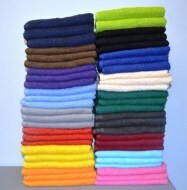 Our collection of wholesale towels for sale truly can't be beat. From washcloths and hand towels to hard working bath towels and everything in between, we've got it all. Mix and match, and still take advantage of wholesale pricing. There's no excuse to not go for it when it comes to your home towel collection. 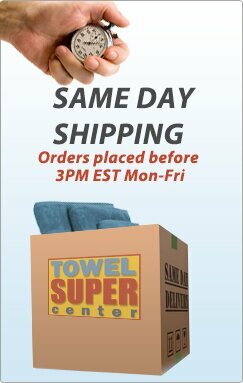 At Towel Super Center, we make it easy for you to shop wholesale towels by size, function or quality. 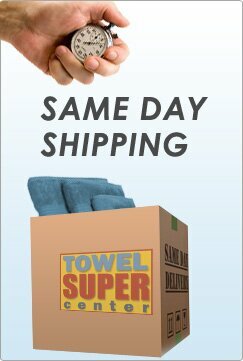 You'll save both time and money when you shop with us, because we make it easy to find just what you're looking for, whether that's a large order of all-purpose towels for your restaurant, gym or hotel or something special to wow your guests when they come to town.